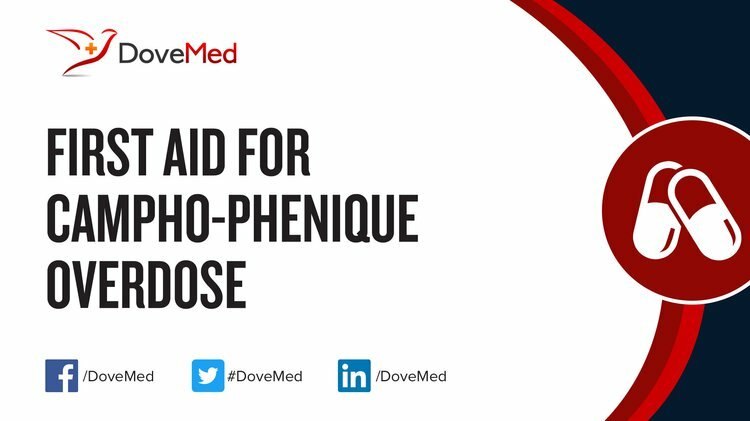 Campho-Phenique Overdose is the accidental or intentional intake of the compound in dosage higher than recommended values. What are the Causes of Campho-Phenique Overdose? What are the Signs and Symptoms of Campho-Phenique Overdose? The signs and symptoms of Campho-Phenique Overdose can vary from one individual to another. It may be mild in some and severe in others. Several systems of the body, such as the digestive system, nervous system, vascular system, respiratory system, and skin may be affected. How is First Aid administered for Campho-Phenique Overdose? Who should administer First Aid for Campho-Phenique Overdose? First aid for Campho-Phenique Overdose is administered by healthcare professionals. What is the Prognosis of Campho-Phenique Overdose? How can Campho-Phenique Overdose be Prevented? Philip, A. T., & Marraffa, J. M. (2012). Death following injection sclerotherapy due to phenol toxicity. Journal of forensic sciences, 57(5), 1372-1375. Emiroğlu, M., Karaali, C., Esin, H., Akpınar, G., & Aydın, C. (2017). Treatment of pilonidal disease by phenol application. Turkish Journal of Surgery, 33(1), 5. Ragucci, K. R., Trangmar, P. R., Bigby, J. G., & Detar, T. D. (2007). Camphor ingestion in a 10-year-old male. Southern medical journal, 100(2), 204-208. Santos, C. D., & Cabot, J. C. (2015). Persistent effects after camphor ingestion: a case report and literature review. The Journal of emergency medicine, 48(3), 298-304. Osterhoudt, K. C. (2000). The toxic toddler: drugs that can kill in small doses. Love, J. N., Sammon, M., & Smereck, J. (2004). Are one or two dangerous? Camphor exposure in toddlers. The Journal of emergency medicine, 27(1), 49-54.